Ever since I interviewed Justin Dillon about his book, A Selfish Plan to Change The World, this quote has stuck with me. When you’re up for a 3am feeding, quelling a temper tantrum, reading a good night story, letting go of the bike as your child starts pedaling, or catching your child just as they slip off the ledge they weren’t supposed to climb on, it might not occur to a parent that this is the work of social justice. Sometimes the sacrifices you make might feel like anything but justice. It can be hard to see the grand value in wiping your child’s snot off your favorite sweater. Parenthood means giving what you can to help another thrive. Parents give in more ways than one can count, with no expectation for anything other than their child take it and make the best life they can with what they have. The whole purpose is to foster a meaningful and independent life. In a similar way, social justice is also an investment—it invests in the future potential of people when we can strip away artifical and unnecessary barriers to a life well-lived. Parenthood means putting other’s needs before your own. Giving sometimes requires sacrifice, but because you love your child, you give what they need because that’s more important to you. Likewise with social justice, we help out of love for our fellow humans. There are limits to both though, too. Like airline stewards say on a flight, in case of emergency, put your oxygen mask on first before helping others. In order to give so unreservedly, it helps to make sure our needs are met well enough to function. We cannot give well when we’re running on empty ourselves—bitterness, fatigue, resentment seep in. We are better parents, better partners, and better humans when we feel full ourselves. It is engagement through love, compassion, empathy, and respect. Parenting works best when we can understand our child and guide them through compassion and respect. So too do societies function best when people understand and respect each other. Both relationships hinge upon the basic trust in the goodwill of the other. It is fostering a bond, where the communal means more than the individual. Giving to one enhances the life of the other. When parents raise a thriving, happy child, it’s not only meaningful for the child, it’s meaningful for the parent too. If one family member suffers, the whole family does too. If everyone is happy and healthy, then the family as whole is happy and healthy too. The same happens with societies. The more individuals within a society suffer (due to poverty or illness, for example), the greater the negative impact on the society. We have reason to help our fellow humans because when we help others do well, we all live in a thriving and happy society. When the parent-child bond breaks down, the negative repercussions can be profound and long-lasting. I’m not talking about the occasional spat here. I’m talking about abuse, neglect, and trauma. 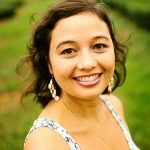 There is a wealth of evidence that shows abusive and neglectful parenting has a profound impact, not just on emotions and behavior, but even down to the neurological level—it literally wires babies’ brains differently, leading to negative repercussions that last into adolescence and even adulthood. Trauma on a societal level (as we know from countries ravaged by war) extends for generations. Benefits radiate outward—to personal relationships, to communities, to societies. When parents model virtue, when kids grow up and become virtuous adults, it infuses everything. When kids learn kindness, they behave with kindness toward their friends and loved ones. They learn to behave with kindness toward others. People generally feel inclined to reciprocate what they receive: treated with kindness and respect, they often follow suit. Positive parenting informs social justice techniques. Even before I became a parent, I had heard about a general shift in parenting towards a more relationship-based approach. Whether you call it attachment parenting, positive parenting, authoritative parenting, or any of it other myriad manifestations, the core idea was that parenting is scientifically shown to be most successful when it is based on a bond of trust—where the parent is compassionate and empathetic, and helps guide the child through a relationship of love and mutual respect, as opposed to more authoritarian or more permissive approaches. When the baby trusts that their parent will respond to and meet their needs, with warmth and nurturance, they will become emotionally intelligent, empathetic, confident, children and adults. This approach to parenting is not only seen in parenting circles, it’s seen in social workers on the front lines dealing with trauma. 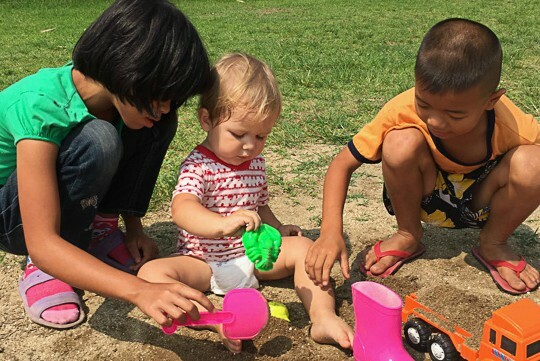 In Thailand, the past few years have seen a rise in workshops training workers dealing with at-risk kids and survivors of sexual abuse and exploitation to take this kind of approach: establishing a bond between the child and one primary caregiver, in which the caregiver demonstrates empathy and respect, and that bond being critical to healing wounds (“filling the hole in the soul”) before one can even begin the work of restitution—getting the child back into school or to a path towards work, or other form of positive societal engagement. Positive parenting may even inform societal movements. Even though I wasn’t a parent at the time I first heard about this parenting movement, I was fascinated by the parenting community that subscribed to some version of a more empathetic and compassionate relationship with children. Now the kids who were just babies at the dawn of that parenting shift have become teenagers and young adults. We can look at how the youth of today are demanding a more just, empathetic, and inclusive world. They don’t just talk about it, they march for it. They demand it of the media they consume, and they expect to see it on their streets. And I really have to wonder if the seeds of today’s social movements weren’t sown in the parenting shift of the last 10-20 years. At least with children it becomes quite clear how treating people as deserving of respect, even when they don’t act in deserving ways, is powerful and fundamental to a human and humane experience. If we can apply it to parenting to such good effect, what could happen if we applied it to other systems as well?